Abeno Harukas is the tallest building in Japan, towering over the city of Osaka at a height of 300 meters. The building boasts various facilities such as an observatory, a departments store, restaurants, and a luxurious hotel. Opened in March of 2014, Abeno Harukas boasts a height of 300 meters and is the tallest building in Japan. Various entertainment facilities can be found within the building, and it has become a spot popular among tourists from all over Japan as well as around the globe. In this article we'll be sharing what you can do at Abeno Harukas, a skyscraper that is like an entire city in and of itself. 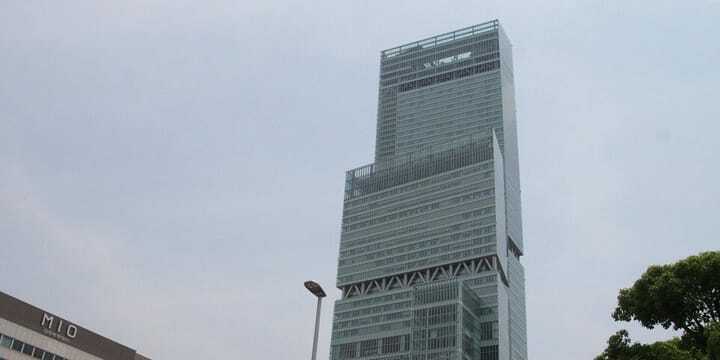 Harukas 300 is the observatory of Japan's tallest building. With glass windows in all directions, visitors can enjoy a magnificent view over the city of Osaka. On a clear sunny day, you will even be able to see the cities of Kyoto and Nara, as well as Kansai International Airport. The observatory also has a double height garden where you can sit back, relax in the sun, and feel the gentle breeze. Abenobea (Abeno Bear) is the official mascot of the Harukas 300 observatory. You'll find various merchandise available at the souvenir shop. Osaka Marriott Miyako Hotel is a hotel that boasts luxurious views from rooms in the tallest building in Japan. The Imperial Suite offers guests a stunning view from 258 meters in the sky. The standard Superior room is very spacious as well. This is restaurant ZK, located at a height of 270 meters. The unique restaurant serves continental, Japanese, and teppanyaki cuisine. If you're looking for a more casual dining experience, head to the buffet-style restaurant COOKA. The Abeno Harukas Art Museum boasts exhibitions of outstanding art from Japan and around the world. Events held in the past include exhibitions dedicated to works by French painter Raoul Dufy, as well as Neo-impressonist painters such as Monet and Signac. Currently being held is a joint international project with the British Museum. The event is dedicated to works by ukiyo-e artist Hokusai. Abeno Harukas Kintetsu Main Store is a department store that handles a wide variety of products, including renowned brands, women's, men's, and children's clothing. The Foreign Customer's Salon offers helpful services such as sales tax exemption and money exchanging services. An observatory, art, shopping, dining, and even accommodation. Abeno Harukas has it all. You won't be able to see all that the facility has to offer in a single day. We hope you enjoy your visit to the Osaka landmark! 15 Must See Sightseeing Spots In Osaka - Both Famous And Little Known!